Francis Bacon is one of the most revolutionary artist’s of the 20th century. His work to me, exemplifies raw emotion. Initially his artwork looks terrifying. It is scary, twisted, blurry and somewhat gruesome. In my opinion this kind of dismorphic surrealism is engaging and I automatically want to delve deeper into the piece. I respect Francis Bacon and admire him as an individual because he wasn’t afraid to break the stereotypical idea of normalcy. He sought to expose people at their very core and instead of painting what he saw he painted what he felt. His art exudes emotion and feeling and that to me holds a significant amount of value. This article summarizes Francis Bacon’s biography and shows the evolution of his surrealist style. It also note s the artwork that gave him a reputation in the art world. This article describes Francis Bacon’s exhibition at the Met. It highlights the uniqueness of his style and points out why he was such a controversial and powerful artist. He brought homosexuality into artwork and sought to express its normalcy to the world. This article describes his surrealist and abstract style and summarizes the evolution of his career. This article summarizes the history of Bacon’s life, highlights the influence of Picasso’s artwork, and why his paintings were revolutionary in the 50’s. Mr. Carmack is on the rise and every growing up, just like his music. Above is Carmack's website where you can read his story of self expression; The latest news on Carmack's collaborations; His tracks and upcoming shows. 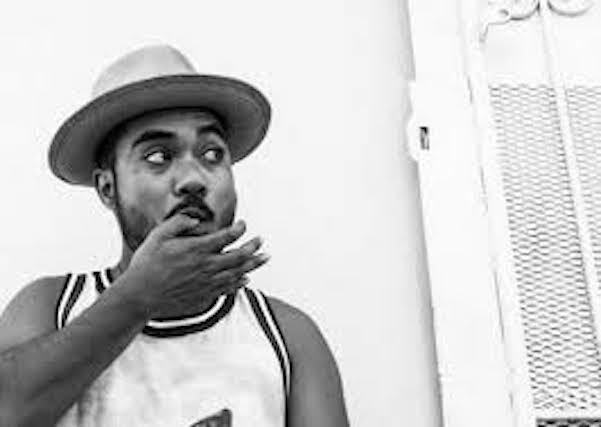 Mr. Carmack is at the head of trap music today, he uses his artistic producing capabilities to perfectly make bass influenced electronic music. 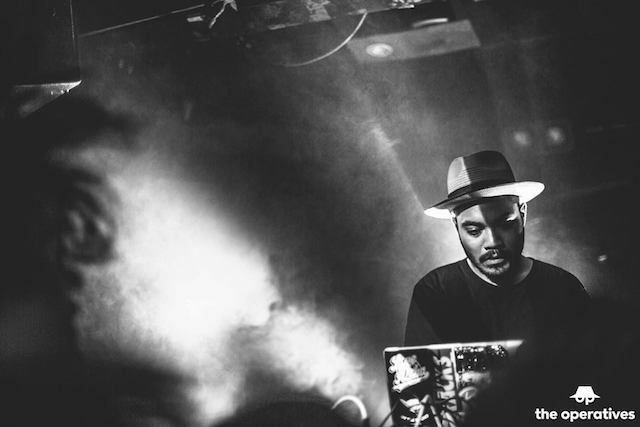 His production include both instrumentals and remixes with a new and improved sound of tomorrow. I know for myself that he is amazing live and that he is becoming more well known by the day. 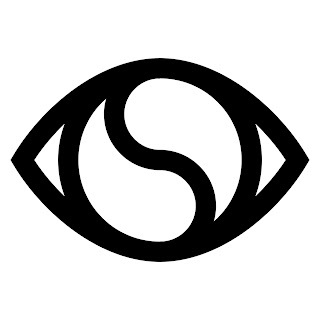 Soulection is a group of DJs and producers that share their works and creations with each other and are broadcasted every Saturday from 7-9pm, as an exhilarating playlist for your night out, with some background about the artists performing. Soulection's homepage has more information on the artists and DJs part of the team, while Carmack's site has his songs and shows to come. I expect him and the group that he is a part of, SOULECTION, to be on the forefront of productions in the coming future. I do not see trap music becoming less relevant in pop culture, so I see Mr. Carmack as an extremely worthy artist to share on this blog. As a fan myself, here is one of his latest songs released and his fan page containing a short biography, his credits to songs he produced for other artists, and his upcoming projects & tours. Lauren is an American dancer, and the season 7 winner of the dance TV show, So You Think You Can Dance. This is Lauren's IMDb page. It gives a little bit of a bio of her life, and also some of her credit and things that she has done. It is good insight into her life and the things she has accomplished. This is a video of Lauren's audition for the TV show, So You Think You Can Dance. This is a great representation of who she is as a dancer. This is an article that was written about Lauren after she won the show. I thought it was a good representation of her, and gives some more insight on who she is as a person and a dancer. I chose Lauren as my artist because she is such an inspiring dancer. Like many of us dancers, she started out young, dancing for fun. She was just a regular person with a dream to do something with her passion and what she loved to do - dance. I found her compelling not only because of her background, but because she is just an amazing dancer. On the show she won, So You Think You Can Dance, she was named the best female to ever be on the show. Her drive and love for dance is touching, and I felt like she is a great example of what many dancers aspire to be one day. 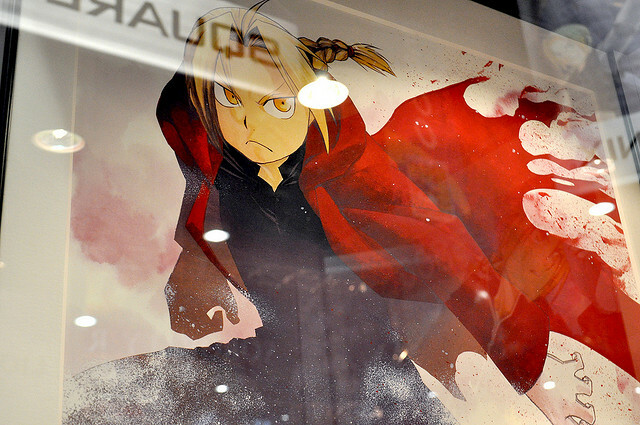 Hiromu Arakawa is the creative prowess behind many successful manga, the most prominent for Americans being Fullmetal Alchemist. Although it is hard to find a lot of information on Japanese manga atists, it is actually harder to find information on her, due to her having a very private nature. Arakawa is a woman who seems to have more in common with me the more I learn from her. At first, I thought she was this funny woman who created a world that was incredibly complex, violent, and depressing, but had to have this fun-loving side because she ended up with blurbs at the end of each manga volume where she drew herself as a cow with glasses. However, when learning about her agricultural background, I began to realize we both share a strange love of farm animals. Growing up in Hokkaido, she attended a high school where the students actually help run a large scale agricultural center that involves dairy, meat, and vegetation. Later, she even used this experience to create a hit series called Silver Spoon. After graduating from high school, she moved to Takyo and began working under a manga artist before she created a one-shot story for Square Enix that developed into the series Fullmetal Alchemist. 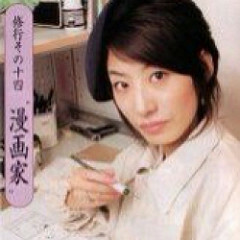 As an artist working with a series marketed toward the male demographic, she created the pen name Hiromu, rather than her given Hiromi, to sound masculine. However, as her success became widespread, eventually becoming international, her gender has since been revealed and she is still accepted as a large competitor in the manga industry. 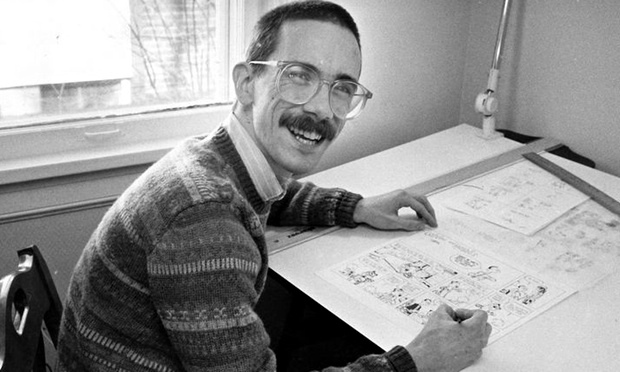 Bill Watterson is the author and artist behind one of the world's most famous comic strips: Calvin and Hobbes. He is an intriguing man and artist. His dedication to privacy despite his fame is very admirable, as is his ability to critique the world in such an accessible format. 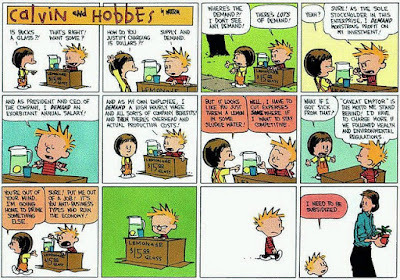 I find Bill Watterson to be especially worth sharing because of the beloved nature of his comics, and his ability to create truly strong characters and capture the essence of boyhood while humorously critiquing the world through such lovable characters. This brief biography about Bill Waterson reveals that Watterson had a very rough start at being a comic artist. While he did receive a job straight out of college as an editorial cartoonist, he lost the job within a year and spent the next several years living at is parents sending comics off to be rejected. Watterson's success came with the creation of Calvin and Hobbes, the well known and loved comic strip that led Watterson to be the youngest ever recipient of the National Cartoonist Society's Reuben Award. Watterson ended the comic strip in after ten years in 1995 to ensure the integrity of his creation was not compromised with time. It is for the same reason that he has always adamantly refused to allow merchandising of his characters. In this interview with Bill Watterson, Watterson talks about his growth as an artist, is inspiration, and the decision to make Hobbes a tiger. He talks about how as a kid, he was a huge fan of the Peanuts comics by Charles Schultz. 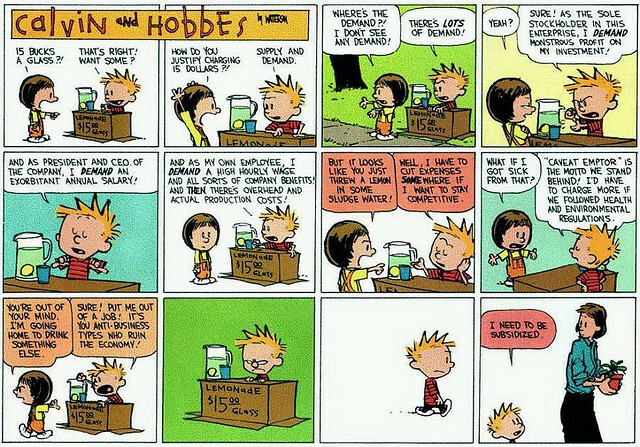 As for the art style used in the Calvin and Hobbes comics, Watterson said that he didn't think much of it at first, as he figured it would just get thrown out and rejected like his other works, but as time progressed he began to think more about what angles he was drawing Calvin from and making small changes to make it easier to do things like make him run. He mentions that one thing he really liked about the comics was that Calvin's fantasies were always drawn more realistically than his reality, because he feels like it says a lot about Calvin's character. As for Hobbes, Watterson says that he felt like Calvin needed something less common than a bear, and as soon as he thought of a tiger he knew it was the best option, especially considering Watterson's fondness for cats.